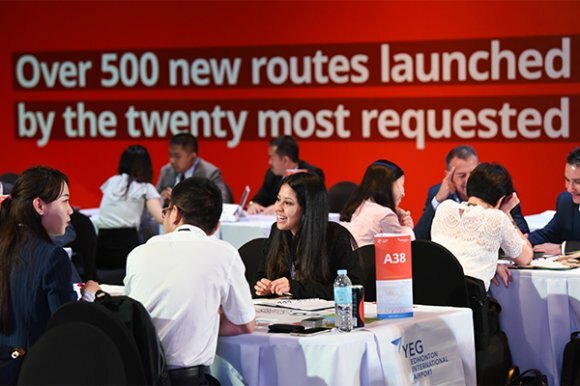 More than 830 hours of meetings, 1,000 delegates and in excess of 100 airlines saw the route development forum for the Asia Pacific region reach new heights. 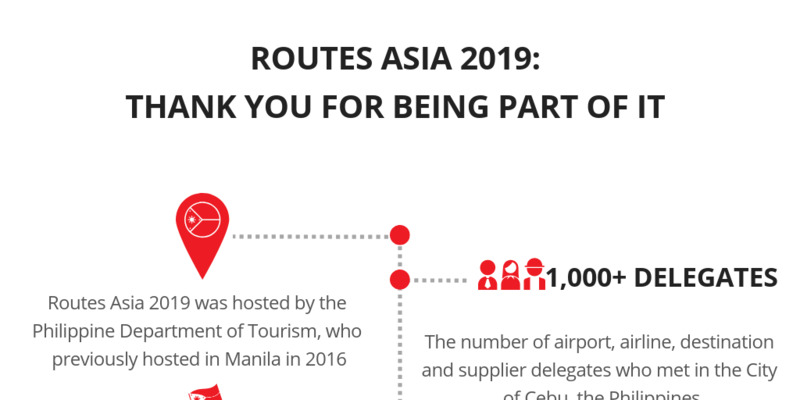 The 17th Routes Asia saw more than 1,050 senior decision makers engage in meaningful discussions which will go on to expand the region's air connectivity. Hosted for the second time by the Philippine Department of Tourism, the event featured three days of meetings, spectacular networking opportunities and exclusive insight shared by industry leaders and aviation experts during the conference programme. The event also saw the announcement of new routes, including Cebu Pacific’s launch of three new domestic services from the carrier's hubs at Cebu and Clark. Discover our infographic below to see the facts and figures which secured the event's success. Next year, Routes Asia will take place in Chiang Mai, Northern Thailand’s cultural heartland. View the event web pages to find out more about the region’s leading route development event, or register your place today.